With unmatchable luxury and an impeccable floor plan, the Residences at Vizcaya is one of the most exclusive and sought after condominiums in Coconut Grove. Surrounded by more than 5000 square feet of botanical garden, there are 18 stunning residences to choose from. With easy access to Coral Gables, Key Biscayne, Downtown Brickell, and South Beach, all within an easy 15 minutes, this is a great place to call home. As of 09/19/2013, there are 3 condos for sale at this residences ranging from $3,800,000 to $6,700,000.For more information please visit our website call Alba Biondi at 305-323-2595 or Isabelle Andrews at 305-546-5421. For more information please call Alba Biondi at 305-323-2595 or Isabelle Andrews at 305-546-5421. **Photographs provided by the Residences at Vizcaya. Ideal for one desiring tranquility and peace, Grove Hill offers 77 residential condos, with just 4 condos on each floor, giving the perfect level of privacy. Breathtaking city views can be enjoyed from the unique wraparound terrace on each condo. Residents can enjoy access to a state-of-the-art fitness center, tennis courts, and a 24 hour staff granting use to these immenities. 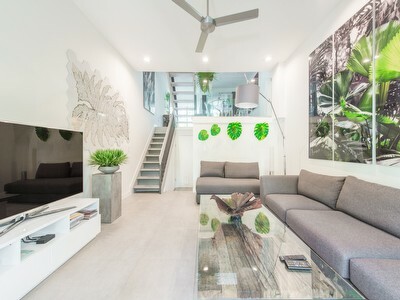 Currently, there are 3 condos available at Grove Hill, ranging from $950,000 to $3,450,000. If you have any interest in Grove Hill or any other condos in Coconut Grove, please call Alba Biondi at 305 323 2595 or Isabelle Andrews at 305 546 5421 or visit our website for more information. Nestled away from the fast paced lifestyle of downtown Miami and South Beach sits the beautiful gem of Coconut Grove, a Bohemian bay front village-in-a-city, founded in 1925. Whether you’re looking for a quaint outdoor café, elegant boutiques, great nightlife, or a historical art museum, Coconut Grove is truly the city for everyone. Known locally as “the Grove”, the city has many “must-sees”, including Cocowalk, an upscale shopping mall filled with bars, shops, and restaurants, and Vizcaya Museum, an exquisite Mediterranean renaissance castle. 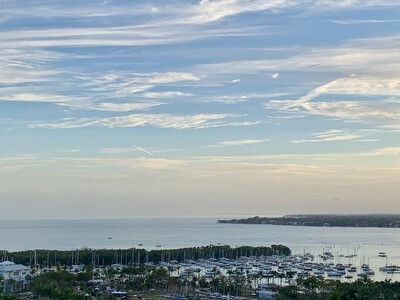 Come visit Coconut Grove and find out why it is a unique discovery that can not be missed. If after your visit, you decide that Coconut Grove is the place for you, please visit our website to find all of the properties for sale, and contact Isabelle Andrews at (305)546-5421 or Alba Biondi at (305) 323-2595. We are looking forward to welcoming you at this exceptional property.